In 2019, IFPMA work will continue to focus on constructive engagement in supporting UHC and working with others to strengthen health care systems. The association will continue to engage with a range of stakeholders, particularly multilateral organizations, to better explain the benefits of IP and exchange ideas to address issues of coverage, capacity, affordability and sustainability of healthcare. For those of us whose job it is to engage with the UN on behalf of the R&D biopharmaceutical sector, 2018 has seen a positive shift towards a more rational and solutions-based global health debate. Today, we see an increasing focus on concrete measures that can move the needle, such as tackling health systems barriers to deliver better healthcare for the under privileged in low- and middle-income countries. Instead of a narrow focus on pricing and patents as hurdles to access to quality health care, there is now a broad acknowledgment and an appetite to strengthening health systems. Meaningful discussions are focusing on the availability of skilled health workers, the importance of engaging with the private sector to address inefficiencies in the system such as inefficient distribution systems, falsified and substandard medicines and huge mark-ups. Last and certainly not least, there is impetus to tackle the lack of healthcare financing, finding ways to achieve Universal Health Coverage (UHC) and domestic resource mobilization. All of these elements are crucial to achieve the World Health Organization’s (WHO) goal of Universal Health Coverage by 2030. I have been impressed by the change in the global health debate in recent decades. I have witnessed the global health debate evolve and move away from a fairly narrow-minded and pretty dogmatic trench warfare. Today, most of the time, there is a realisation that international organizations, governments, civil society and private sector are all needed to take on the challenges, and there is an increased recognition that domestic resource mobilisation and partnerships are necessary to achieve UHC. What is more important is that politicians are taking action and showing leadership. For example, Rwanda is firmly on the path to achieving UHC, with no fewer than 90 percent of Rwandans currently enrolled in health insurance. At the May 2018 World Health Assembly, President Kagame made a powerful case why countries should embrace UHC, saying that it leads to future-mindedness and entrepreneurship by freeing people to plan for the future with confidence, so that families can invest their savings in businesses and in better-quality education for their children, creating jobs and boosting women’s economic empowerment. Most African countries have integrated UHC as a goal in their national health strategies and many are showing political leadership. Countries such as Ghana, Kenya, Morocco, and Senegal all offer a subsidy to insurance. Ethiopia is a pioneer in the use of community health workers as the frontline of primary healthcare, and Ghana is also deploying them with great success. Many R&D biopharmaceutical companies are also actively engaged supporting global health progress with over 400 innovation and access partnerships, including with Geneva-based health organizations such as DNDi, GAVI, Medicines Patent Pool/UNITAID and Medicines for Malaria Venture and UNICEF. Indeed, the R&D biopharmaceuticals sector is one of the most active, if not “the” most active industry sector working in partnership with governments, NGOs, academics to strengthen health systems and increase access to medicines and vaccines. Innovation together with such partnerships have contributed to the dramatic progress in global health of recent decades. Contrasting with these positive developments that are truly transformational to people’s health and the impact they can have on their lives, it is amazing how much negativity there still is around the intellectual property (IP) and the lack of recognition of the legacy of innovation and its importance for future generations. In the past couple of years, we have witnessed a clear upward trend in the “share of voice” by those seeking to advance a negative narrative on innovation and access, based upon a misjudged premise that IP blocks access. We therefore need to tell our industry innovation and access story in a more compelling way so that the global health community is prepared to listen, discuss and gain a better understanding of the public health value of the biopharmaceutical industry. We will continue to engage with a range of stakeholders, particularly multilateral organizations, to better explain the benefits of IP and exchange ideas to address issues of coverage, capacity, affordability and sustainability of healthcare. This will be a personal mission of mine for 2019. We do not make any apology for the fact that the biopharmaceutical industry’s business model is based on competitive R&D, intellectual property (IP), the reward for innovation, and a science-based regulatory system. It should be acknowledged that the model has brought tremendous benefit to patients and society and our industry has become an active partner in delivering global health solutions. The industry has evolved and learned and this needs to continue. We need to safeguard the progress made. As we live longer, the diseases of ageing raise a new set of questions. Antimicrobial resistance poses a real threat to global health security and may require new ways of thinking about disease transmission and delivering care. We cannot stay in the trenches – we need to understand each other’s perspectives, build trust and find solutions that are workable and sustainable in practice. A concrete solution resulting from a partnership, in this case with the World Intellectual Property Organization (WIPO), is Pat-INFORMED. This online tool is designed to help procurement agencies better understand the global patent status of medicines, making procurement processes more efficient resulting in getting medicines to people more quickly. Future innovation is the key to addressing the unmet medical needs of patients and improving the capacity and sustainability of our healthcare systems. Ensuring patients around the world can share in the benefits of current and future health technologies is a collective goal across all actors in healthcare. It is folly to fail to accept that IP has enabled the innovation of the vast majority of new medicines and vaccines. It is woeful that the value of innovation is frequently sidelined or maligned. Without IP, the vast majority of today’s innovative outcomes, medical breakthroughs and generic medicines would not have become a reality. Dr Tedros has also identified partnerships as a key success factor. Our company members are among the “thousands of…organizations all over the world who share” the WHO’s vision, “and who have knowledge, skills, resources and networks”. IFPMA has already stepped up to the plate and answered the call for the private sector to engage. Our longstanding partnership with the WHO in support of Pandemic Influenza Preparedness (PIP) has been re-energised. Through the PIP Framework, influenza vaccine and antiviral manufacturers have not only contributed most of the US$142 million voluntary donations collected by March 2018 to fund the WHO PIP Framework, but also helped the WHO secure 405 million doses of influenza vaccine and 10 million doses of antivirals to be used in the event of an influenza pandemic. Access Accelerated is another ground-breaking commitment to partnerships to tackle access and affordability challenges as well as health system strengthening. This is a first-of-its-kind collaboration led by more than 20 pharmaceutical companies who are all pooling their efforts together with IFPMA, the World Bank and the Union of International Cancer Control (UICC) to focus on improving access to treatment and care for NCDs in low- and middle-income countries. Concretely, this translates into helping the UICC’s ground-breaking City Cancer Challenge to work on improving cancer care in cities such as Calì, Asuncion, Yangon, Kumasi, Kigali, Tiblisi and Porto Alegre and on-the-ground support to integrate NCD services into primary healthcare, like in Kenya. In March last year, a pilot programme was launched to help the Kenyan Ministry of Health meet their ambitious goal to achieve universal healthcare coverage by 2022 and to contribute to the global target to reduce NCD deaths by two-thirds by 2030 set in the Sustainable Development Goals. As an industry, we remain committed to finding new treatments and cures and IP is fundamental to ensuring that investors and innovators have the confidence to embark on the long, complex and risky process of developing a new medicine to address the needs of patients. Since its inception, IFPMA has constructively partnered with a wider group of multilateral organizations, NGOs, patient associations and healthcare professionals to enhance access to medicines and promote policies to foster much-needed medical innovation. We remain committed to improve our effectiveness and impact through greater industry coordination, research-based evidence generation on the societal and economic value of IP. Cooperation and collaboration are at the heart of our commitment to improve health outcomes globally. 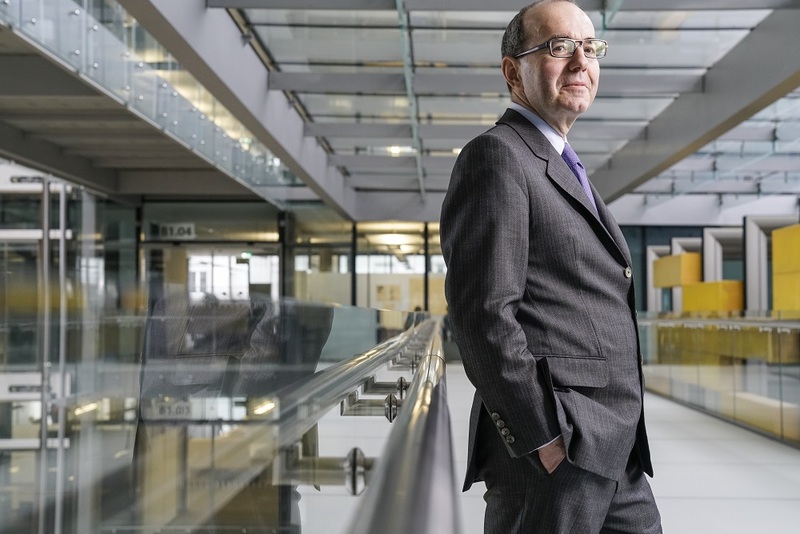 Thomas Cueni is Director General of International Federation of Pharmaceutical Manufacturers and Associations (IFPMA), Chairman of the AMR Industry Alliance and Industry Co-Chair of the APEC Biopharmaceutical Working Group on Ethics. Prior to joining IFPMA he was Secretary General of Interpharma, the association of pharmaceutical research companies in Switzerland. He served as Vice-Chair of the EFPIA European Markets Committee. Cueni began his career as a journalist and he served as a Swiss career diplomat with postings in Paris (OECD) and Vienna (IAEA, UNIDO). "Supporting UHC And Better Explaining IP – The 2019 Pharma Industry Agenda" by Intellectual Property Watch is licensed under a Creative Commons Attribution-NonCommercial-ShareAlike 4.0 International License.